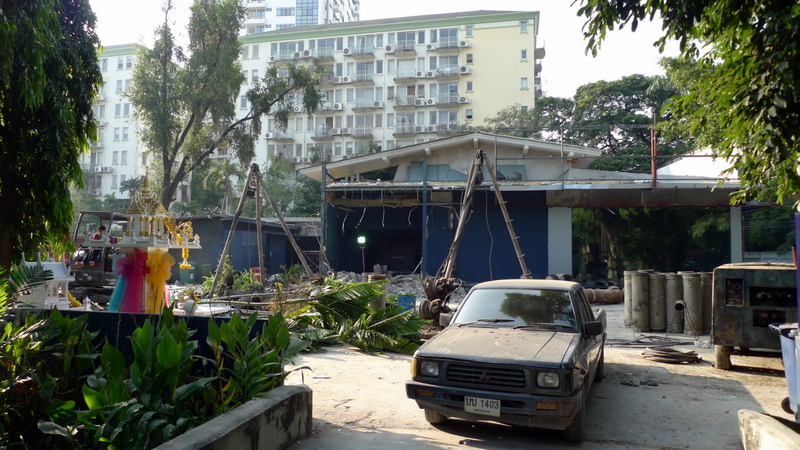 Note that Soi 38 has become much less crowded due to city inspectors enforcing zoning laws. 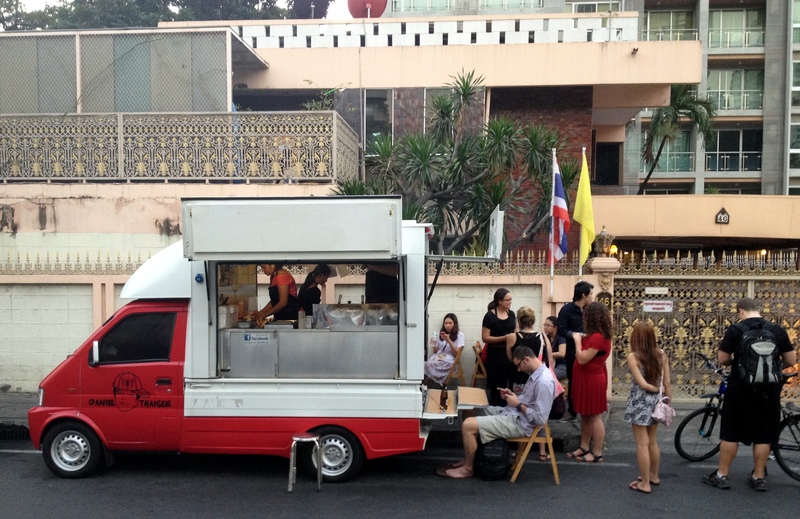 Daniel Thaiger food truck is now at Sukhumvit Soi 23. Follow them at https://www.facebook.com/DanielThaiger/. Bangkok is a street food city. 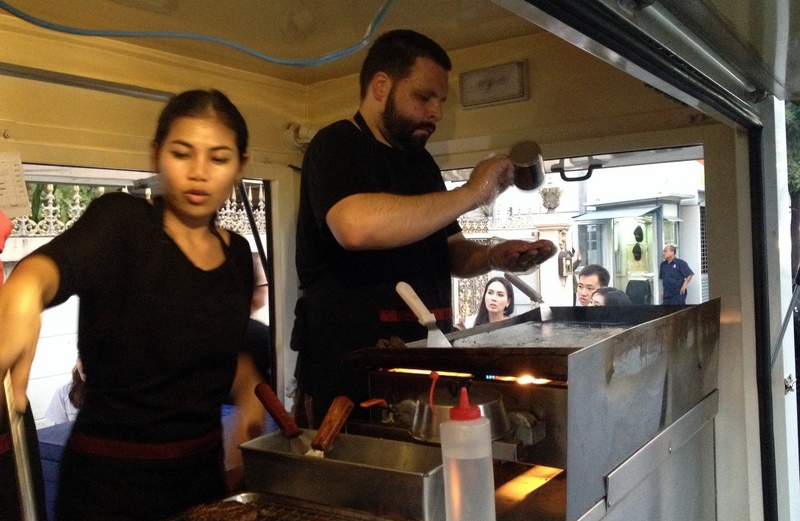 It is no exaggeration to say that there are tens of thousands of street food vendors. 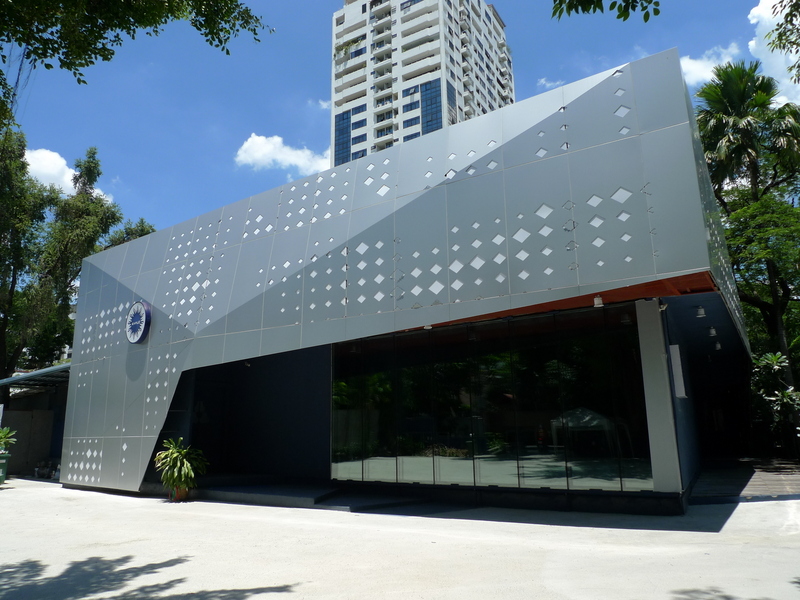 And yet the opening last year of Daniel Thaiger, a street food vendor usually found on Sukhumvit Soi 38, created a niche in an otherwise crowded market by selling American style hamburgers. Soi 38 is listed in pretty much every tourist guide book as one of the go-to places for street food in Bangkok. 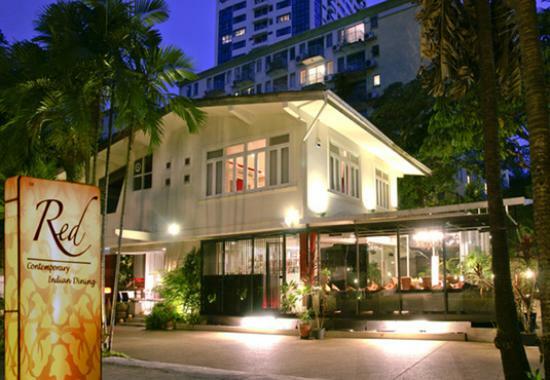 Located in the upscale middle stretch of Sukhumvit Road and adjacent to a BTS Skytrain station (Thong Lo), it is extremely easy to access. As the sun lowers on the horizon, street food vendors start setting up and most of them continue to serve until well after midnight. Because of its popularity, it is also crowded with foreigners and most restaurants have menus available in many languages. The food remains top-notch, though, despite no longer being a secret known only to locals. 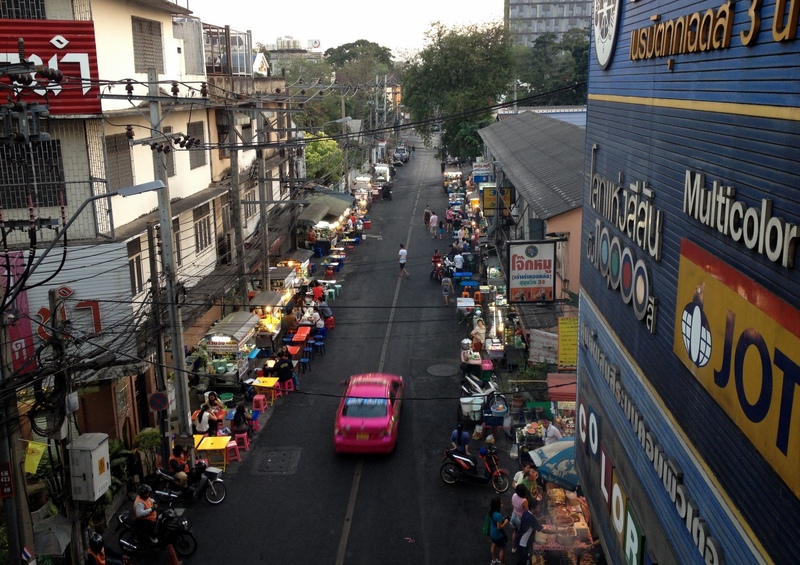 About forty meters into the soi, just past all the street vendors selling the usual Thai foods (congee, fried noodles, soup noodles, satay, sticky rice and mangoes, etc. ), you will find the small Daniel Thaiger truck, alternating sides depending on the day of the week. A crowd, many of them looking suspiciously like hipsters, fills the sidewalk around the truck and seating is always a challenge. Diners are not just foreigners, though. A surprising number of Thais join the queue. One half of the couple behind Daniel Thaiger – Honey, pictured above in black with glasses – is the front of the house. She greets, takes orders, makes sure the few tables and chairs are kept clean, and checks to make sure you are satisfied with your meal. Which you are likely to be. The other half of the team, Mark, mans the gas-powered griddle and oversees the production of about 140 hamburgers a night. A native Angelino (meaning he’s from Los Angeles, for those of you unfamiliar with the term), Mark’s concept of “hamburger” is definitely and thankfully shaped by the In-n-Out burger chain. Their focus – and his, too – is on quality, fresh ingredients. Mark hand-forms the patties each day and makes sure to check with his diners, asking how the food is and seeking their suggestions and ideas. The menu is very simple: plain burger (beef or pork), bacon and cheese burger, a pork-and-oat burger, grilled cheese, and tuna melt. 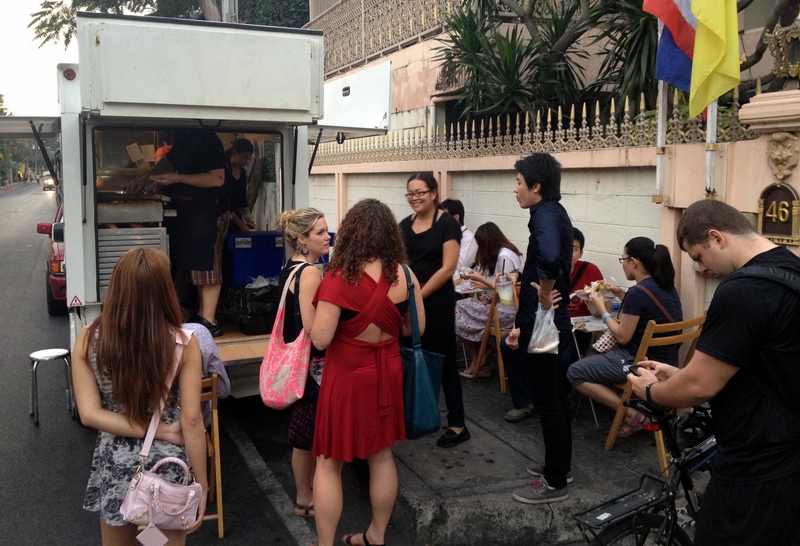 When parked on Soi 38, they are unable to make fries due to not having access to electricity. But the truck also sells chips and bottled beverages. 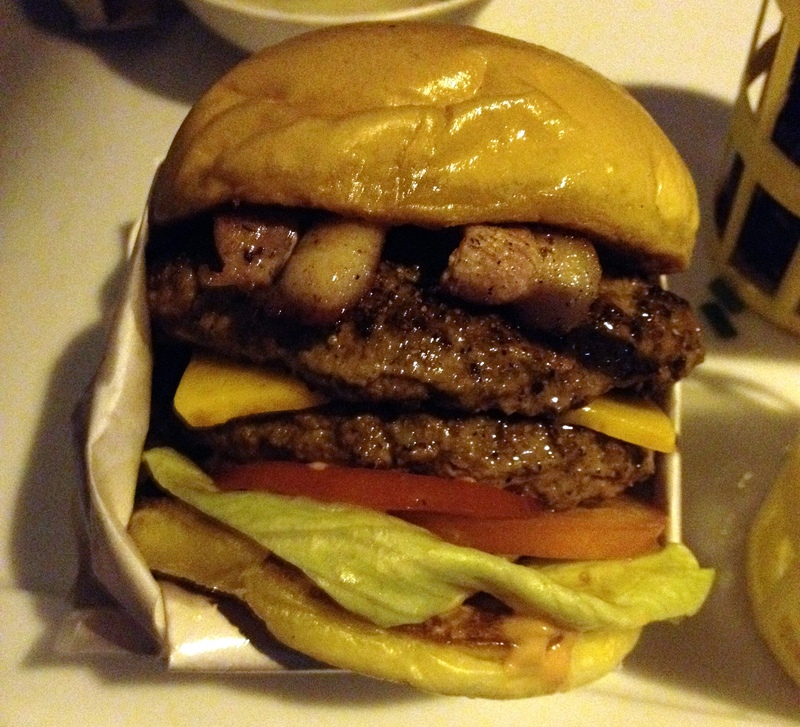 Above, is a two-patty beef burger with bacon and cheese. I always order medium-rare, which I think compliments the flavor of the high-quality imported beef. The fact that your burger is cooked to your desired level of doneness shows an attention to detail missing at most burger restaurants in town. With the truck open five days a week (closed Sunday and Monday), every few days Mark will throw a special on the menu. This evening it was a jalapeño mac-and-cheeseburger, which includes a nice little serving of spicy mac-and-cheese on top of the burger. This is an awesome combination. I’ve also tried and enjoyed the chili cheeseburger. 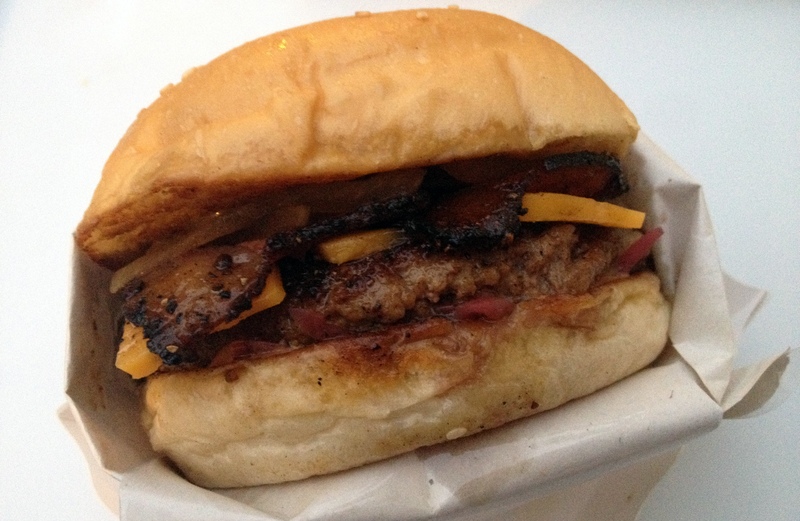 Collaborating with a local producer of fine meats, they also offered a pastrami burger. 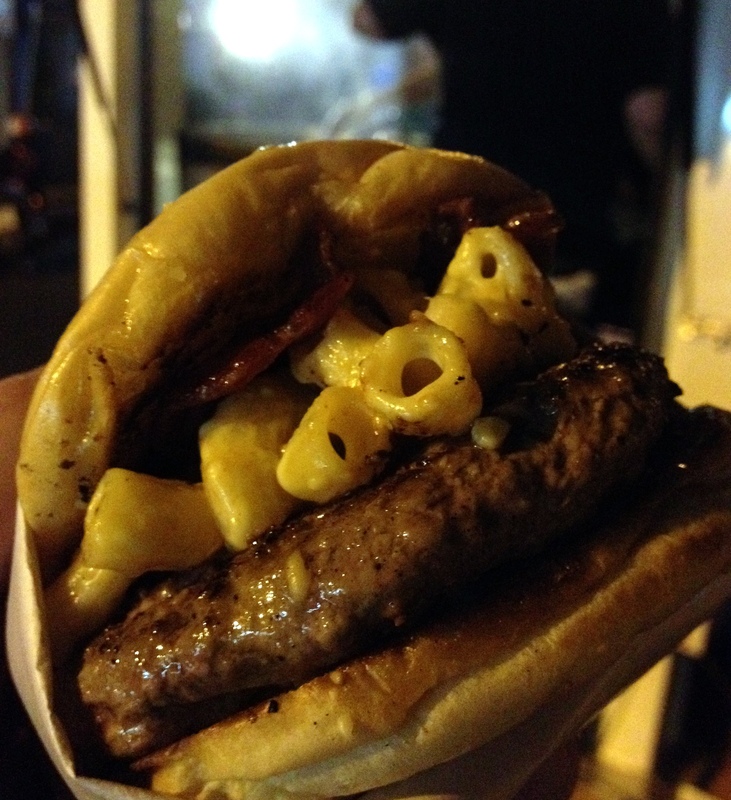 Tasty, although the flavor of the pastrami gets lost in the beefiness of the burger. All in all, though, the hamburgers are top-notch. Not only the best in Bangkok, but perhaps the best I’ve had anywhere. They certainly satisfy my craving for In-n-Out. The truck is usually open by about 5:30 and it is common for items to start running out by 8:00 and for Mark and Honey to shut down by 9:00. Follow them on Facebook for daily specials.